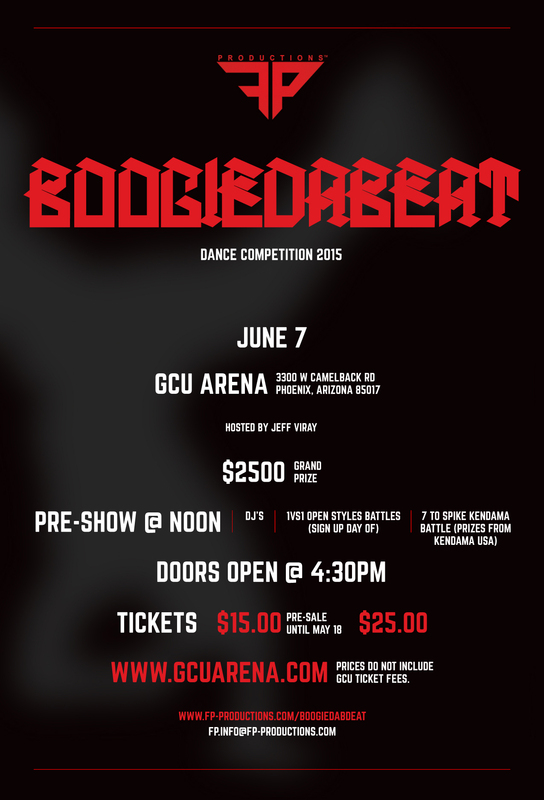 Come out to FP-Productions 7th BoogieDaBeat Dance Competition. Prices do not include GCU Ticket Fees. 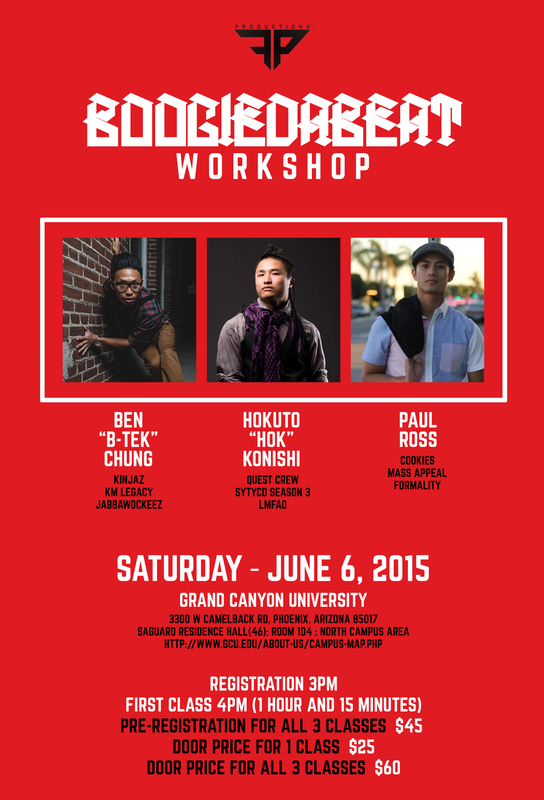 Sign up Sheet for the Open Styles & Kendama Battles will around 12 PM – 12:30PM. First 16 People for both battles. This entry was posted on Sunday, May 24th, 2015 at 5:28 pm and is filed under Events . You can follow any responses to this entry through the RSS 2.0 feed. Both comments and pings are currently closed.